Newton is a satire on the power dynamics that governs the lives of the tribal people inhabiting the Naxal-prone areas across India. 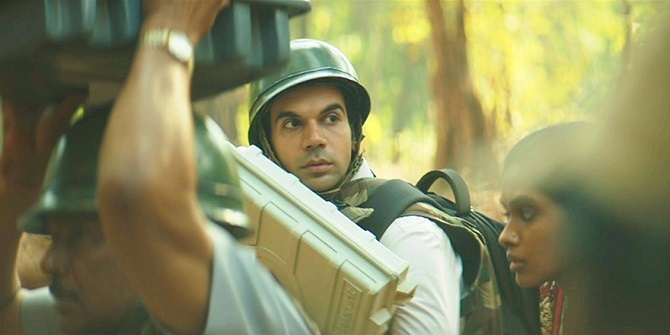 Directed by Amit V Masurkar, Newton stars Rajkummar Rao, Pankaj Tripathi, Anjali Patil, and Raghubir Yadav in the pivotal roles. Newton premiered at the 67th Berlin International Festival in the Forum Section wherein it won the CICAE Award for best film. The film has been unanimously chosen by the 14 member jury constituted by the Film Federation of India to represent India at the 90th Academy Awards in the Best Foreign Picture category. Produced by Manish Mundra under the banner of Drishyam Films, Newton is essentially a story of two men—a cynic and an eternal optimist—who must go about fulfilling their respective duties according to what they deem right. Newton is a man of principles. When his father tries to marry him to an underage girl he protests. He is one of those rare individuals who take great pride in following the rules to a tee. Now, his parents had named him Nutan but people used to make fun of his name and so he changed it to Newton in the Class-X examination form. His sense of duty is bolstered when one of his seniors tell him that it was Newton’s theory of gravity that proved that the laws of nature are same for the king and the pauper. The rest of the film follows Newton as he tries to live by this belief while serving as a presiding officer during a seemingly impossible mission to conduct free and fair voting in a Naxalite territory. In the late 1960s, renowned Indian filmmaker Hrishikesh Mukherjee made a film called Satyakam and since then we have had many films about idealistic men with Newton being the latest. Back then such films were meant to be serious caricatures of people one ought to look up to. Today such films are supposed to be seen as satires or parodies. Perhaps, this is a reflection of how the Indian society has changed over the last several decades. Overall, Newton offers an interesting take on the contrasting ideas of idealism and pragmatism. Also, it is one of the better films revolving around the issue of Naxalism in India. But it lacks the structured approach of a Buddha in a Traffic Jam or the raw intensity of a Chakravyuh. 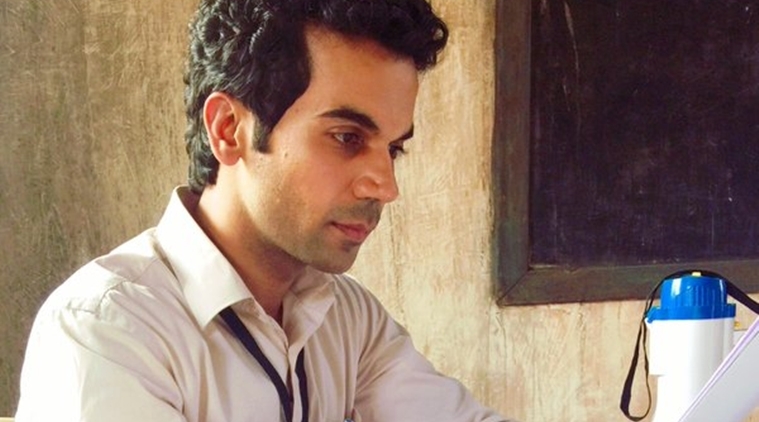 While Rajkummar Rao is solid in the role of Newton Kumar, it is Pankaj Tripathi who steals the show essaying the part of the officer in charge of security in the area. The movie features some very engaging dialogues about the class divide, largely delivered by Anjali Patil and the veteran actor Raghubir Yadav. There is also a interesting reference to the Al Pacino play Chinese Coffee. Newton is engaging for the most part but the ending fails to provide a satisfying closure, leaving the viewer wanting for more.